From the Search Party, to the keynotes, to the captivating technical sessions, Splunk .conf17 was definitely one for the books (not to mention the record books, with more than 7,000 Splunkers in attendance)! One of our favorite moments of the week was when our CEO, Ashish, was presented with Splunk's 2017 Revolution Innovation Award for Luna, our Operational Intelligence app that integrates Slack and Splunk. 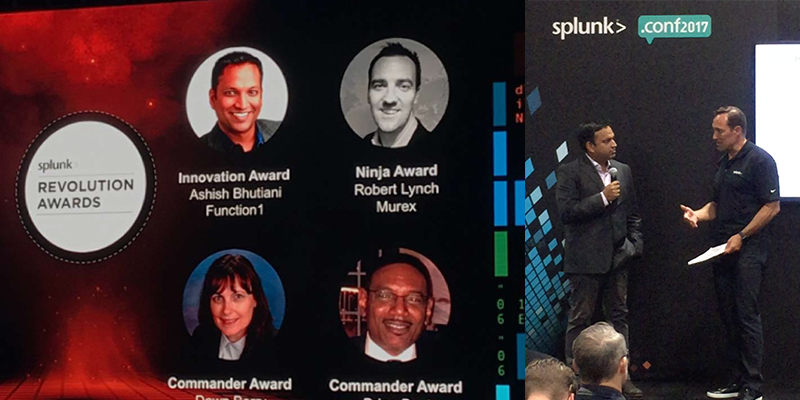 Left: Ashish and fellow Splunk Revolution Award Winners. Right: Ashish accepting the Splunk Innovator Award from Splunk CEO, Douglas Merritt. Splunk's Revolution Awards are presented every year, recognizing the most groundbreaking achievements from Splunk teams around the world. The Innovation Award honors a new app or cross-platform solution that solves a unique business challenge. 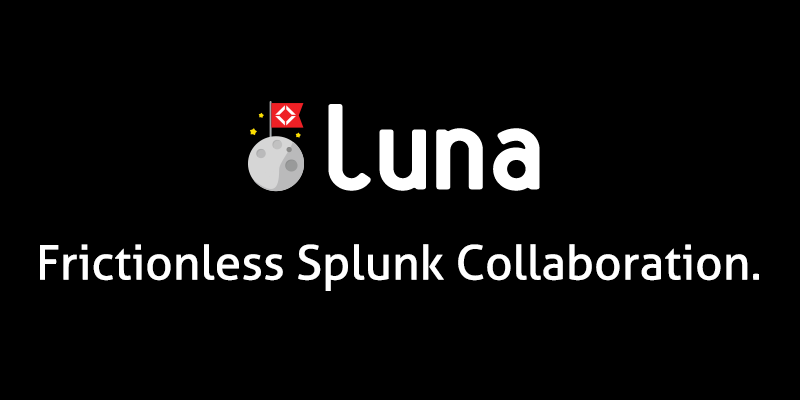 Luna, now free during Public Beta, was nominated for optimizing Splunk collaboration. As one of Slack's 6 million users, we understand firsthand how the messaging platform has transformed communication across organizations. We use Slack (all day, every day) to stay connected to and collaborate with teammates in different offices worldwide. One of the coolest things about Slack is the ability to engage with various bots that perform automated tasks on command (like finding the perfect gif, or managing to-do lists). Slack bots can make life a whole lot easier, which is why our development team dreamed up Luna - the Slack bot for frictionless Splunk collaboration. Luna lets teams run saved and ad-hoc Splunk searches inside of Slack channels. With Luna onboard, teams are able to investigate issues as they happen by accessing Splunk's powerful data visualizations inside of Slack channels. By sending a one-line command in Slack, Luna will communicate with the user's Splunk instance, saving teams valuable time, boosting productivity, and increasing transparency - helping to eliminate operational silos. To learn more about Luna, or become a free beta customer, click here. We're always looking for ways to improve our products and services, so if you have feedback or suggestions that will make your experience with Luna even better, please feel free to reach out to me directly: caroline@function1.com.